For months and years, a steady stream of major corporations and government departments announced they were dumping the Blackberry for “bring your own device” (BYOD) policies, opening the door to Apple’s iPhone and iPad, as well as devices powered by Google’s Android. 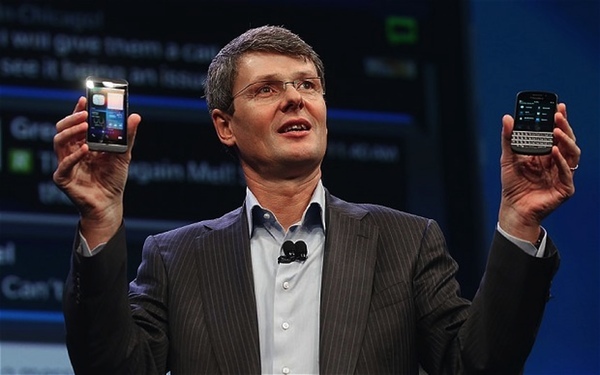 Now, a trendsetting German government agency has given Blackberry Z10 a big shot in the arm. In the grand scheme of things, an order for 5,000 Blackberry Z10s might not seem like a big deal. However, the folks signing on the dotted line for all of those Z10s, however, actually have some sway. All Things D reports that Germany’s Federal Office for Information Security (BSI) is purchasing 5,000 Blackberry Z10s for use by staffers. Apparently, one of the big attractions for the agency is Blackberry’s Secusmart technology. With the German federal government’s security watchdogs using the Blackberry Z10, security guys and gals in other departments will likely follow suit. Further, private contractors doing business with those folks will need tag along.